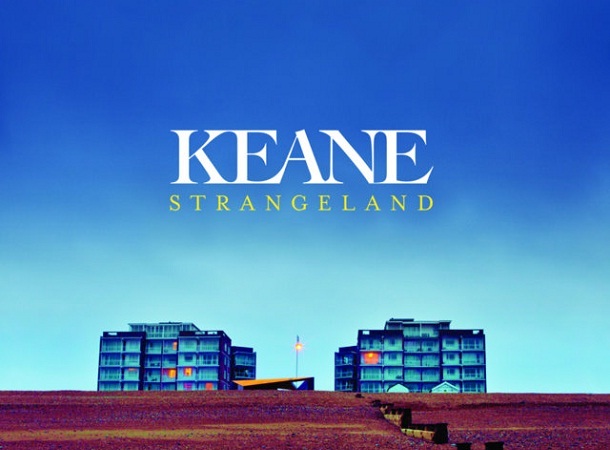 I don't care if some of the critics consider Keane's latest album Strangeland as moderately good only. For me, it has been one of the best albums released this year. I told a close friend that I particularly liked one of their song titled Sovereign Light Café. And now I am in cloud nine when Vevo released Keane's official music video for Sovereign Light Café. This is simply a nice way to end my day, because I have been problematic and depressed the whole time. And before I check out of my daily routine, lo, I found this beautiful gem, just released a few minutes ago. This is to be the third single of the said album and to be released this coming July 16. This music video is surely a good way to boost the single's upcoming release. Opening on a familiar scene as presented on the cover of Strangeland, the music video kicks off to a nice view of the beach studded with athletes and performers. This is maybe a salute to the upcoming Olympics (or any sports for that matter), opening on July 27, 2012 that is to be hosted in London and I can't thank Keane enough for that. This is very much a melancholic moment for me. The tune and lyrics of the song simply throws my worries of the day away. Upon seeing the video, my hopes are raised and my morale has been strengthened once again. Keane's music video for Sovereign Light Café is a very great video on a very laid back way. I just can't get enough of it and I hoped the song is longer than it actually was. This thankful problematic guy (I mean, yours truly) got a reprieve and a brighter side on his day that he can't stop himself from sharing this temporary good feeling. I hope you share it, too.